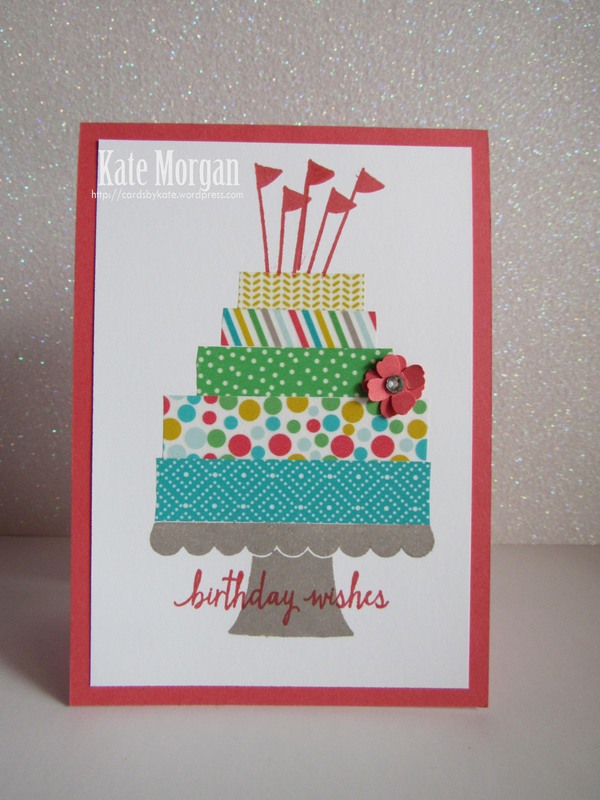 Today I share a card made using the Build a Birthday stamp set, one of my favourites in the current annual catalogue. If you haven’t purchased this stamp set, it is a must have. Not only can you make birthday cards with it, but you can turn the candles into a card for Christmas! Be sure to stay tuned in the following weeks to see one of those!!! I have used Watermelon Wonder with the Cherry on Top Designer Washi Tape as my colour scheme. 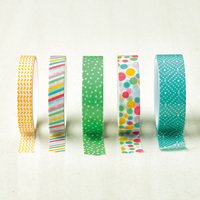 In this pack, you get 5 yards on each roll in the coordinating colours: Bermuda Bay, Crushed Curry, Cucumber Crush, Pool Party, Tip Top Taupe, Watermelon Wonder. I stamped the cake stand first in Tip Top Taupe ink, before adding strips of washi tape, layering them one on top of the other to create the cake layers. I stamped the flags and the sentiment last in Watermelon Wonder ink. I added 2 small flowers (Itty Bitty Accents Punch Pack) and layered them on top of each other with a rhinestone in the centre. 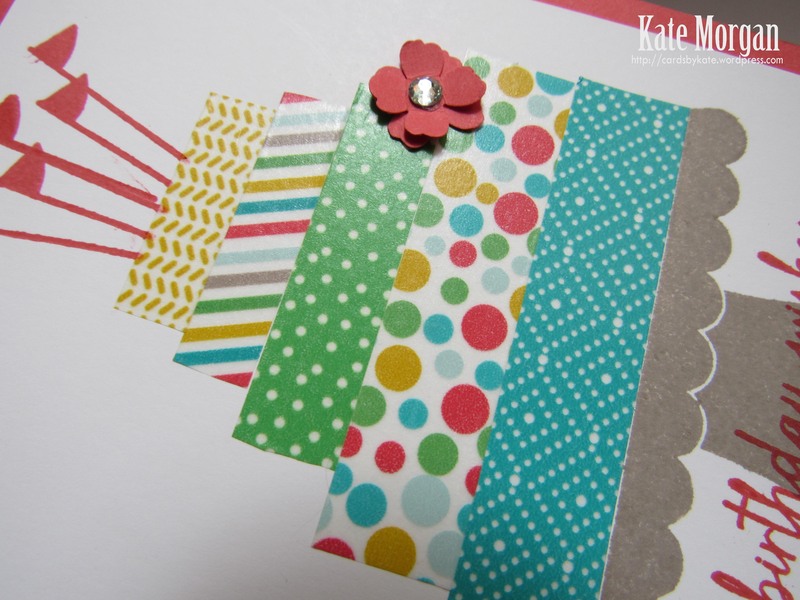 This card was so quick and easy to create and at little cost using washi tape!!! 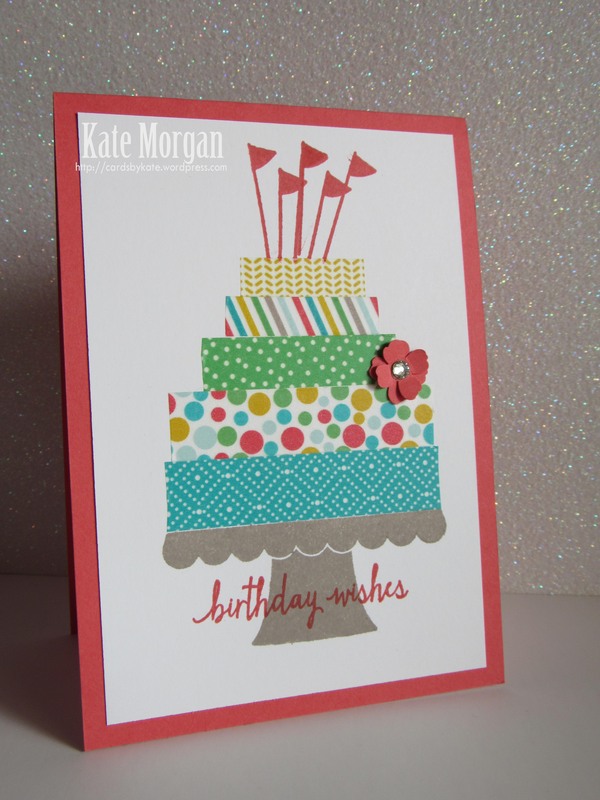 Tagged birthday card, Build a Birthday Stamp Set, Cherry on Top Designer Washi Tape, Feminine Handmade Card, itty bitty accents punch pack, Stampin' Up!